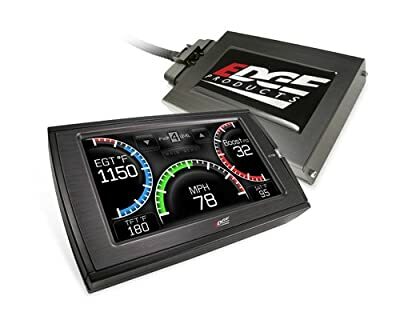 We are pleased to present the fantastic 11101 Edge Products 11101 Juice with Attitude CTS for Ford Powerstroke 6.0L. The Edge Products 11101 Juice with Attitude CTS for Ford Powerstroke 6.0L features a high resolution 4.3 inch touch screen that is east to read and program. By attaching to your manufacturer harness under the hood, this module is easy to install. 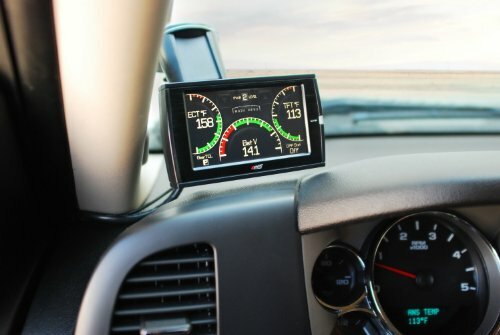 With the ability to monitor exhaust gas temperature, turbo boost, and engine temperature, among others, you have the capability to maximize your vehicles ability and performance. The custom audio mileage alerts allow you to fuel up when you want to. The adjustable power levels and built-it transmission protection ensure your vehicle stays in optimum shape. Customization backgrounds give the display the look you want. Purchase Edge Products 11101 Juice with Attitude CTS for Ford Powerstroke 6.0L and keep your vehicle in the best shape possible!